I still remember the first kale salad I ever had. I loved it. It was in 2009 at Gjelina, a restaurant I used to work at in Venice, CA. I ordered it after every shift. I couldn’t believe how much I loved kale. I ended up actually craving the superfood daily. Years later, organic kale salads have become a staple in my home, and I eat one almost every single day. But people always tell me they don’t know how to make it taste good or they have no idea what to do with it at home. Here’s your answer: Send it to the spa and MASSAGE it. Yes, you heard me right. That is the key to making it taste good. Massaging it with salt & olive oil helps it break down and become less tough and bitter (just like people, right? Ha!). 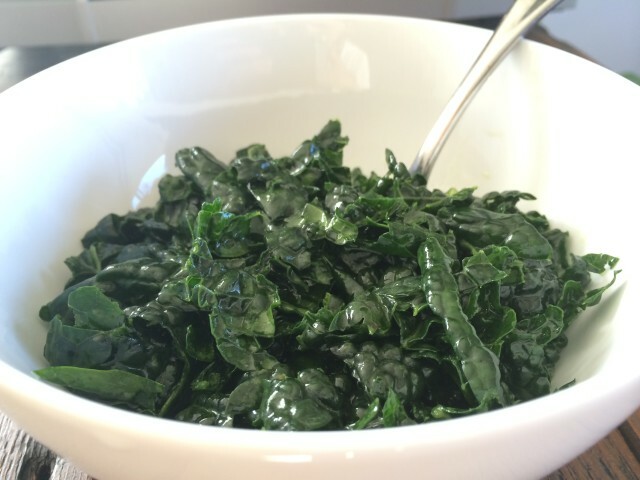 So for all you peeps who want to like kale, start with this simple recipe and then build on it. First de-stem the kale by pulling the leaves downward from the base of the stem. 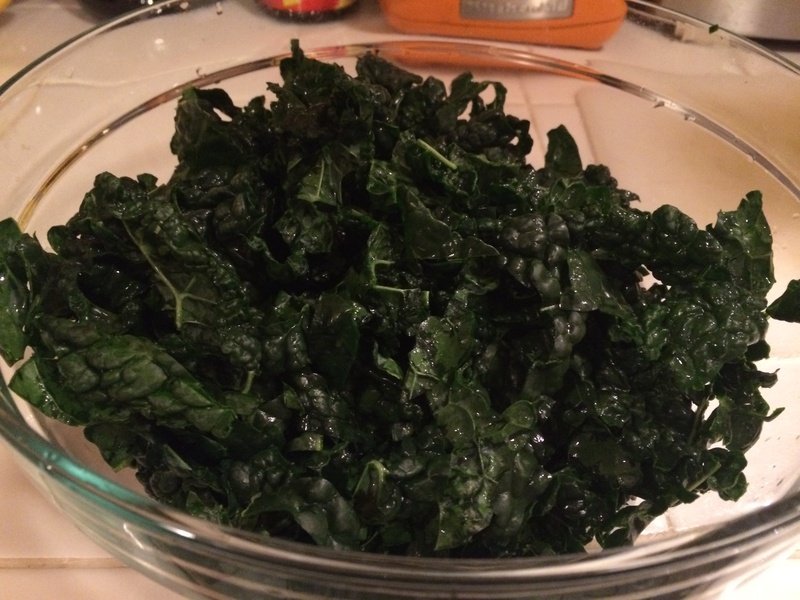 Next, chop kale and then rinse in a colander. 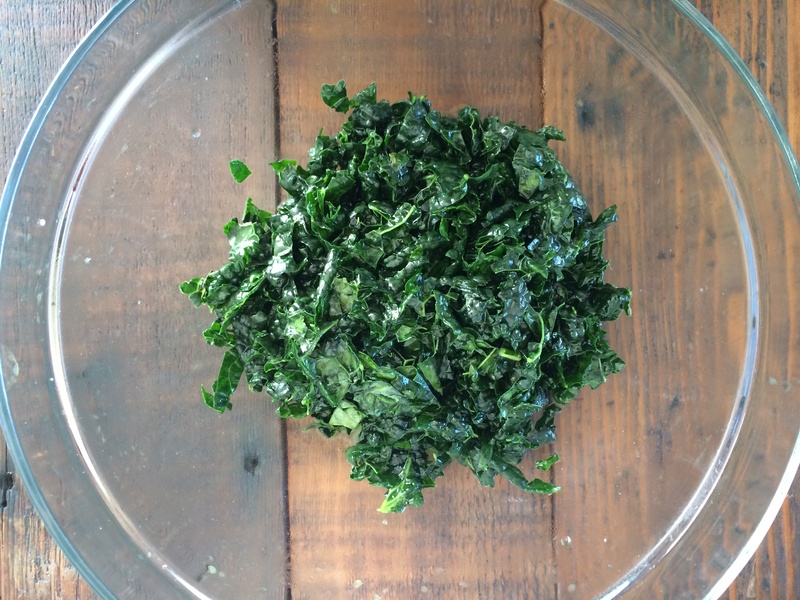 Once kale is chopped and rinsed, dry with paper towel or use a salad spinner to get the excess water off. Place in a large bowl and add olive oil, lemon and salt. Now the fun part! 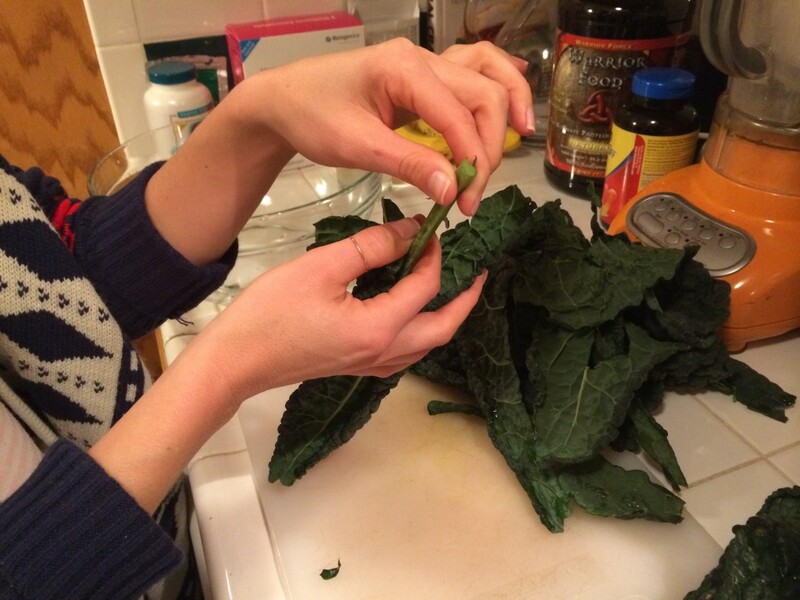 Begin massaging, mixing and squeezing the hell out of your kale with your hands for about a minute. The more you squeeze the more tender it will be. You can even add a ripe avocado to it and squeeze that in (thanks Blair!). It will create a creamy type of dressing. The leaves will shrink down, but you should have plenty for 2-4 people depending how large the bunch of kale is. The great thing about this salad is that it keeps well. Because the leaves are so tough, the salad won’t get all nasty the next day. We make a bunch of it and it lasts a of couple days. Feel free to add other veggies, meats, cheeses, nuts or avocado to it. This is just the base to other creative salads you can make, but honestly, we eat this everyday because it’s simple, clean and tastes great! Enjoy, and I hope you become a kale fan too!